There is a building boom happening San Francisco. With 4,000 new residential units currently being built and with building permits being pulled for over 40,000 more (SF Chronicle 28 April, 2013), construction cranes and workers are helping to transform the shape of our sea-side town. So it is no wonder that there are four new Stanley Saitowitz designed residential complexes under construction in San Francisco. Living in Yerba Buena Lofts, I feel a special connection to these other buildings and their future residents. So I have walked by, and examined the floor plans all of these buildings, and I have toured one of them. Here is my impression of each. 8 Octavia feels the most like Yerba Buena Lofts, with the bold design and innovate use of vertical louver panels animating the facade, playing with our ideas of privacy: open the louvers to expose yourself (literally) to the sun and neighborhood, or close to protect and conceal. 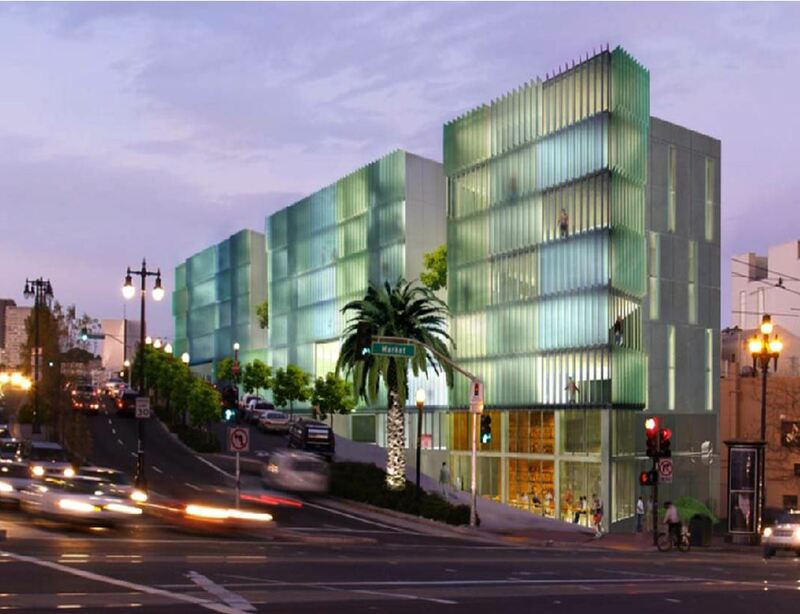 This residential building will cap off a two decade plus neighborhood transformation which began with the Loma Prieta earthquake and continued with the creation of the Octavia Boulevard and Patricia’s Green in Hayes Valley. This is a welcome addition. 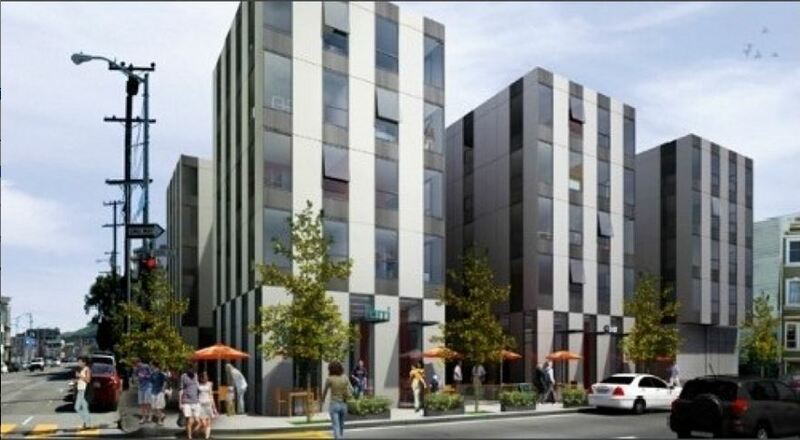 616-20th Street, in the Dogpatch district, offers ultra modern design in a former industrial neighborhood. I appreciate the black faceted facade. From one direction, your view into the interior is completely restricted, while from the other direction the view is unobstructed. Check out the layout of the bathrooms: bathing and WC are separated from the rest of the bathroom, thereby making the space seem larger with clear sight-lines. I think we will be seeing this bathroom layout a lot more in the future, especially in condos and apartments, as it maximizes the illusion of space. View of the mixed use, 5 story building. 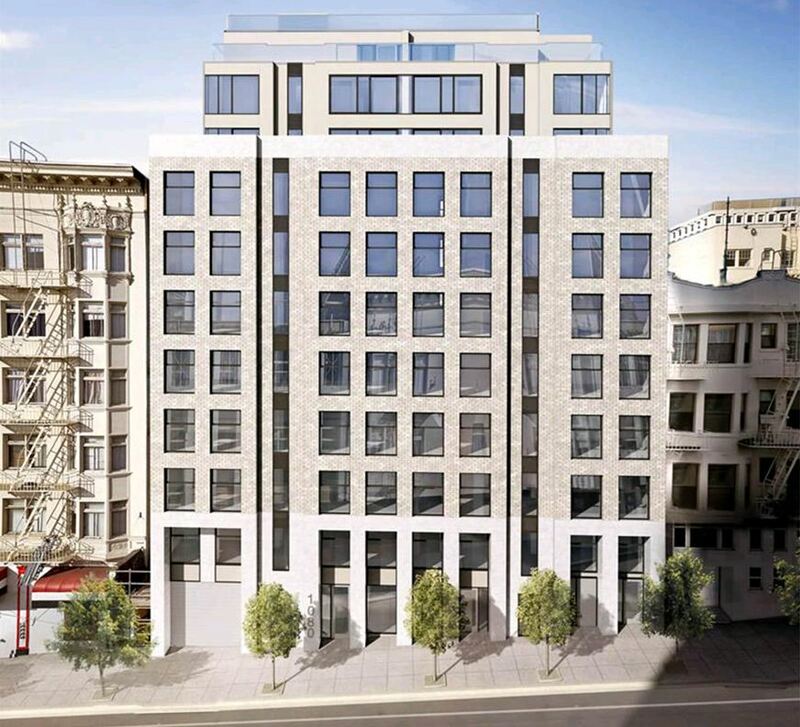 1501-15th Street in the Mission replaces a gas station with 5 stories of living and retail, bringing another Saitowitz building into the hip Mission. Not much information yet. I can’t wait for a website to view the interiors photos, finishes and plans! BlancSF, on Sutter near Larkin, provides a more accessible, less adventurous version of Stanley Saitowitz. Perhaps too accessible! When I toured the model apartments, I found well thought-out floor plans, fully functional kitchens and an impressive offering of finish materials. I like the positioning of the windows, that reach to the floor, offering a new take on your view. This building feels very comfortable, and is well designed! 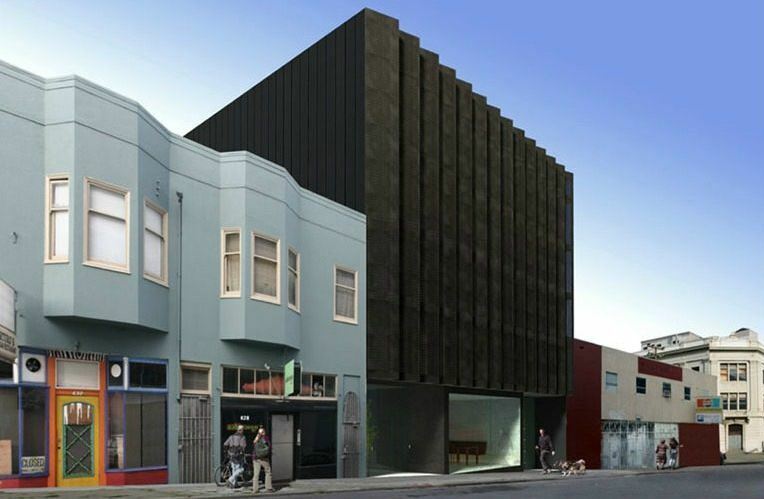 Source images Stainley Saitowitz | Natoma Architects, 1616 20 Street, Blanc SF.